Cindy Woodsmall's "The Harvest of Grace" is the third book in her Ada's House series. This is a great story and different from a "typical" Amish novel, but very enjoyable to read. Sylvia would rather tend to the animals and work on the dairy farm than be married and have babies. Sylvia has had her heart broken though and it is easier to focus on the animals than love. Aaron has been away at rehab, but he returns to help his parents and their farm that is not doing well. However, there is something else there taking over and Sylvia is not one to give in easily. Aaron and Sylvia have their differences, yet also their similarities. Learning to forgive, forget and still have hope and believe in love are lessons throughout this story. I like the fact that Woodmall included a summary of what had happened in the first two novels in this series as it was a great reminder of the story so that I was "caught up" as to where the story was at. Also, the character list is a great addition as it is often difficult to keep the many characters straight as to who is who and how they are connected with one another. Many of the characters struggle with things the same any "Englisher" would and I think that added more appeal to the story. This is a great read and I would recommend all three books in the series. Noa Nimrodi's book, "Birds Can Fly and So Can I" is an adorable book with vivid, beautiful illustrations and a great message for children to pursue their dreams and discover new talents. Giraffe sees some birds flying one day and wishes she could fly as well. In a dream Giraffe flies and spends time with friends and discovers that her long neck can be helpful. When she wakes up it was all a dream, but the pleasant memories are still there and she feels better about herself. This is a cute rhyming story for children. Children always need to be encouraged to try new things, uncover hidden talents and reach for higher goals. This is a great way to portray these messages to children. This book is a great resource to use with children and I would recommend this book for any counselor working with elementary-aged children. The book ends with a page with a picture of Giraffe with spaces to be filled in by the reader. For example, one spot says "I dream of..." and another is "I will try..." The very last page reads, "Living your dreams is tough to do But Giraffe did it, and so can you Look to the sky, there is no end Burst through the clouds as you ascend." Great message and resource to use with children! 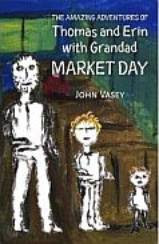 Book Review - "The Amazing Adventures of Thomas and Erin with Grandad Market Day"
John Vasey has created a cute picture book for young children titled, "The Amazing Adventures of Thomas and Erin with Grandad Market Day." This is a simple, straightforward story about two children who spend the day with their grandad. It is a story celebrating time spent with him and the different things they do together. There is a page at the end of the book for the reader to illustrate a picture of his or her own grandad which is a nice touch to the book. Although the story is very short and simple, it is a nice reminder of spending time with loved ones. This book can be a great discussion starter for children to remember and talk about "adventures" with their own grandparents or other loved ones. 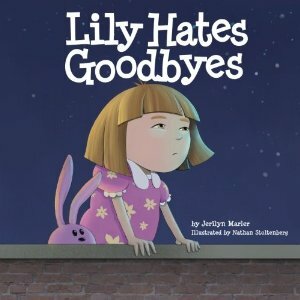 Jerilyn Marler's children's book, "Lily Hates Goodbyes," is a must have for children with a parent in the military and also for elementary school counselors. Lily's father is in the military and is gone for days. Lily struggles with this and is angry and sad. Lily's feelings are validated by her mother and her mother helps her to cope with her feelings in appropriate ways. This book is a cute story that is beautifully illustrated that children will love to read. The coping mechanisms that Lily and her mother utilize in the story could be used by the reader or could be great talking points to try and come with coping mechanisms that may work better for the reader. I like how Lily experiences different emotions throughout the story as this can help the reader to identify feelings that he or she may be experiencing and realize that it is not wrong or unusual to be experiencing these feelings. A great story and great resource to utilize! Looking for a way to talk to your child about empathy and compassion? Rocky Shepheard's book, "A New Name for Worthless: A Hero is Born" is a story that will help you do just that! Worthless is a dog who slept through a break-in, so his master has him chained outside. Wishing that his master were his best friend, Worthless feels sad about this, but his best friends Sly Fox and Otto spend time with him and are truly the best friends that he could ever wish for. Wanting a better life for their friend, Sly Fox and Otto help him to find a new life and become known as something other than "Worthless." This is a well-written children's book with beautiful illustrations. It is easy to read and understand and written so that it will be enjoyed by children. The story is told from the dog's point of view making it even more enjoyable for children to read. This will help children think about others and having compassion for others. I was hooked on the very first page of C.J. Darlington's "Bound by Guilt!" A new author to me and one that I am sure to read books by again! Roxi is living with her aunt and cousin and trying to make her aunt Irene happy, Roxi participates in stealing rare and antique books from bookshops. This is not something Roxi feels right about doing, but Irene took Roxi in when her own mother could not care for her and she is better than living in foster homes. One night, Irene's plan does not go as planned and Roxi cannot live like this any longer, a man is dead and she cannot get the image of him dying out of her mind. Abby is suspended from her job as a police officer when she receives the call from her dad that her brother has been shot, presumably a result of a robbery gone bad. Abby and Roxi's lives will intersect and neither one will be the same as they forgive, find forgiveness, and find unconditional love. Darlington has created a wonderful story! I have found her first novel, "Thicker Than Blood" and cannot wait to go back and read it and learn more about Christy. The characters are all so wonderfully created and ones that the reader will empathize with throughout the tears, joy and growth. Unfortunately, there are many hurting teenagers in the world just like Roxi, and also not enough adults like Keith and Jan. I would love to read another book that picks up where this novel left off as there are so much more that could be shared about Diego, Roxi, Abby and Christy as there lives were all at crossroads at the end of this book. I highly recommend this novel and author! The fourth book in Ann H. Gabhart's Shaker series "The Blessed" tells the story of Lacey, a 16 year-old girl who has not had an easy life at all and it continues to be tough and confusing. Lacey's father chose her step-mother over her and Lacey was taken in by a pastor's wife, Miss Mona. However, when Miss Mona passes away the only thing to do it seems is to marry Preacher Palmer. At 16 years of age, Lacey is still finding her place in the world and when they suddenly move to a Shaker community, Lacey finds her world being turned over. Marriage is not allowed in this community, however Lacey is already technically married and yet she has also fallen for a young man in the community. Is this really the place for Lacey to be? Gabhart ties in so many details into the story in regards to the Shaker community. It is obvious that she has done much research about this sect. The characters are easy to love or easy to hate as the reader will quickly form opinions while reading and rooting for Lacey along the way! This book is full of historical detail, love, hurt and finding one's way in the world. This is a fourth book in the series, but could be read as a stand-alone novel as well. Bob Waliszewski's latest book, "Plugged-In Parenting" is a book that is a valuable resource and also one that will challenge you as a parent. Split into three sections, the first section making you think and decide where you stand as a parent in the midst of all of the media that is constantly bombarding us. The second section focuses on making rules, but making rules in a way that will not create enemies and the third section maintaining it and sharing with others. This book is filled with research, scripture references, personal stories and questions and answers. The media is constantly changing and yet it is also always bombarding us, children included and as parents we want to be aware what our children are being exposed to and taking into their minds. 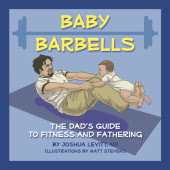 The goal of this book is to help connect with your children in regards to the media, find a place where you both are happy with the limitations and allowances and how to better handle conflicts. This is a good resource that I would recommend to parents. Jenny B. Jones has created a character that teenage girls are sure to connect with and enjoy reading about! "In Between" Act 1 in Jones' A Katie Parker Production is the first book in this series and teenagers and adults alike will get hooked on this series and want to read more! We first meet Katie when she is being transported to a foster home by a girls' home director. Katie has just gotten settled into the group home and then she found out she was being shipped off to a foster home in In Between, Texas to live with James and Millie Scott. Katie's mother is in prison and her father is not involved, so Katie has learned to fend for herself, yet she finds herself adjusting to her "pretend" family and learning what unconditional love is, from both her foster parents and God when she finds herself getting into some trouble. Jones' book is filled with characters that are humorous, heart-wrenching and so real. Written from Katie's perspective, this book is sure to be a winner with teenage girls. Katie may be experiencing a different life than many, but yet she still struggles with some of the same issues on top of having to live in a foster home and dealing with not being with her biological parents. This is a great start to the series and is highly recommended! 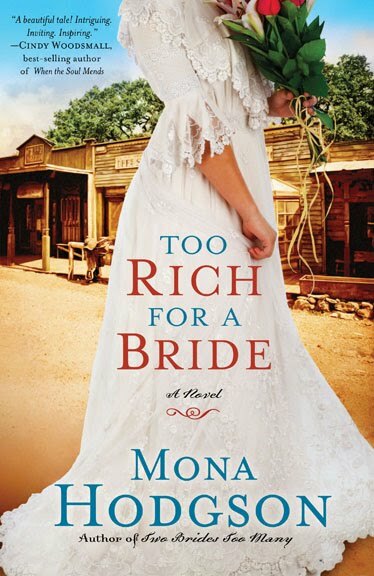 Mona Hodgson's second book in The Sinclair Sisters of Cripple Creek, "Too Rich for a Bride," is a great historical fiction novel that you will not want to miss out on reading! Ida has moved to Cripple Creek to prove to herself and others that women can make it in the business world and it can be done without making promises to men. Two of Ida's sisters already live there and so Ida is thrilled to be near them. However, her sisters and brothers-in-law have reservations about Mollie O'Bryan, Ida's employer. Mollie and Ida are very successful in what they do, but is it wrong how they gain their information in regards to what stocks to invest in? Ida has no room in her life for men, but yet she seems to continually have contact with a very successful lawyer, Colin, and Tucker, a traveling preacher who is in back in town to run his ailing father's business. Both men have secrets, yet which will harm Ida and who does she lose her heart to? Hodgson has a style of writing that is very easy to follow and it pulls the reader right into the story through the vivid images and descriptions. The characters are lovable and real. I have not read the first book, but I am going to find it and read about Nell and Kat. There are family dynamics throughout this book, along with romance, heartache, healing, and growth - everything that makes for a great read! Be sure this is on your summer reading list! Martha is known for being the sister who was too busy when Jesus was at her home to sit and listen to Him as she was cooking. However, there is so much more to her story! Diana Wallis Taylor shares a beautiful story in her novel, "Martha" that will open the reader's eyes and give a new perspective on who Martha really was. Martha has had to run her household and bear a great amount of responsibility since her mother had passed away. Taking care of the house and cooking for her father, brother and sister took all of her time and she was not as carefree as others her age or does she see herself as marriage material. Martha and her siblings, Lazarus and Mary have the honor of meeting Jesus and His disciples and also hosting them in their home. 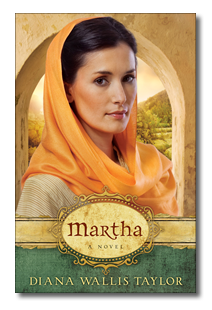 Martha learns a great deal and also is told by Jesus that there is someone out there for her. Martha, Mary and Lazarus come to live in this book and are well-developed characters. It is so great to experience meeting Jesus and His disciples along with them and also being on the journey of coming to believe. Taylor ties in a lot of details and descriptions creating vivid scenes so that it seems as if the reader is right there going to the temple and working in the home. There is romance thrown in as well as each of the three siblings fall in love and yet things do not always turn out as planned and/or hoped, but each learns to seek God. I highly recommend this book! Many have followed Scotty's life and journey through Lisa Samson's Hollywood Nobody Series. Scotty's saga comes to a close in "Goodbye, Hollywood Nobody." Scotty and her father are traveling in search of Scotty's mother and Scotty is searching for answers to her questions in regards to God and faith. Charley is off in Scotland with a new boyfriend and Karissa shows up forcing Scotty to deal with her feelings toward her and move closer to forgiveness. This is a great teen series as Scotty deal with real issues and the books are written from her perspective. Scotty is an enjoyable character to read about, and journey with as the reader will connect with Scotty through her various experiences and will empathize with her. It has been enjoyable to read about Scotty and see how she has grown from the first book to the last book. I recommend this series for teen girls! *I received this book from the NavPress Blogger Review Program. I was not required to give a positive review. The opinions I have expressed are my own.